I feel like I have so much to fill you in on! The past 7 days have been non-stop, but all in the best way possible. 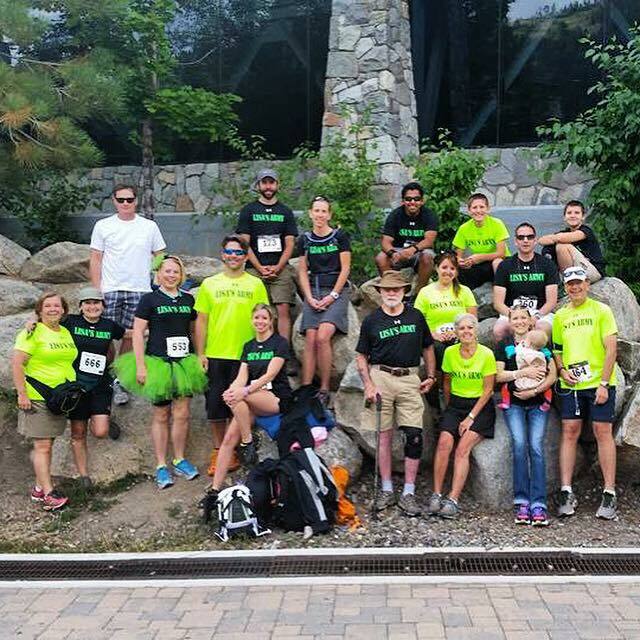 To start, last Saturday, August 1st, a group of friends, family, and coworkers participated in the Squaw Valley Mountain Run. More on that in a sec. Then right after the race, I left with two of my friends to go backpacking for the weekend. I got back on Monday night, worked three days, and am now headed out for another backpacking adventure in just a few hours. There have been so many great things going on this summer. I’ll be back in MBA classes starting in a few weeks and I am definitely taking advantage of being outside, exploring, running trails, paddle boarding, and whatever else I can do. I feel like I haven’t had the chance to make any good recipes, but I promise I will get back to it soon. I have some good ideas brewing. In the meantime, below is a recap of what I have been up to the past week. This is the fifth time I have taken on 3.6 miles and 2,000′ of elevation gain in the Squaw Valley Mountain Run. The past three years, however, have been for a very special reason. If you’ve been reading my blog then you know that my mom was diagnosed with cancer three years ago and ever since, we have gathered a group of coworkers, family, and friends to participate in the very challenging, but rewarding, Squaw Valley Mountain Run. All of the proceeds go to the Tahoe Forest Cancer Center, where my mom has been receiving care. It is an amazing facility and the support they receive from the race helps patient programs that are so critical to wellbeing when you are facing such a horrible disease. My brother, me, dad, and mom at the top of Squaw. 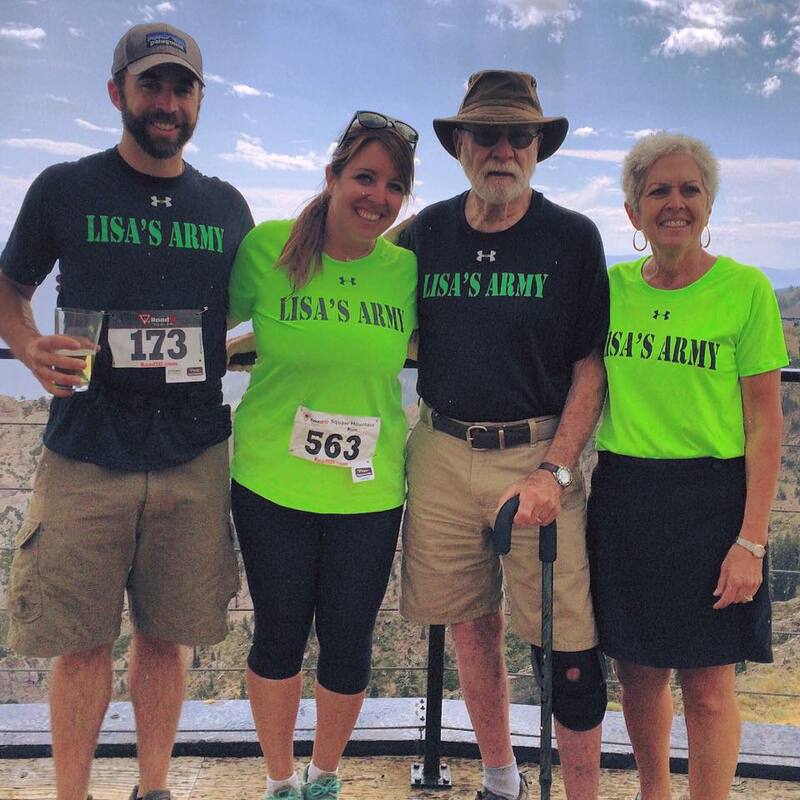 Our crew, Lisa’s Army, gathered together this past Saturday to show our support. If you are ever looking for a great race that goes straight up a mountain and has amazing views, the Squaw Valley Mountain Run is for you. I definitely can’t run the whole thing like I used to in high school, but it is still an awesome workout and for such a great cause! Not to mention there is free beer, snacks, and live music when you get to the top. I would definitely encourage you to do it. I would also encourage you to donate to the cause and help cancer patients that so desperately need programs that support their wellbeing during treatment. I started a fundraising page and we are only five hundred dollars short of our goal. Any amount you can give to this cause is appreciated more than you know! 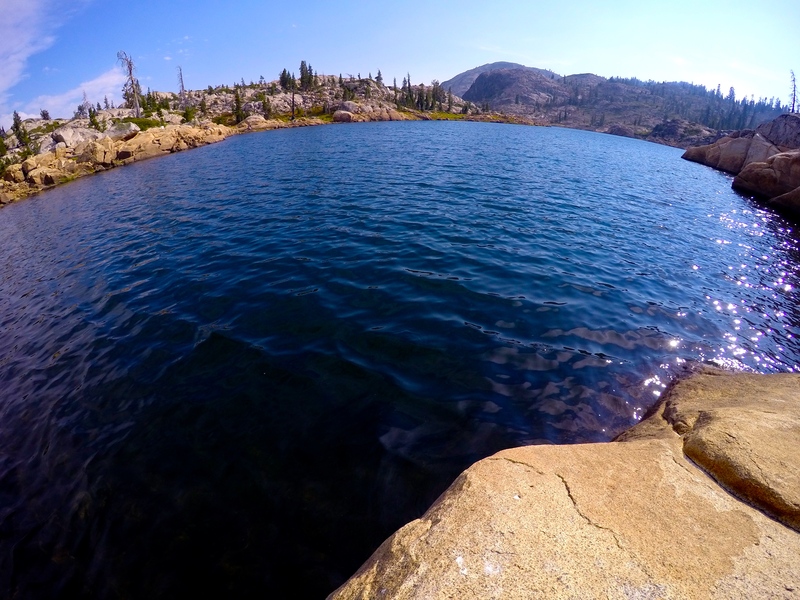 The crystal blue waters of Downey Lake. and Lisa for another awesome backpacking trip. Last weekend we went to Desolation Wilderness, which was amazing and we had so much fun together we decided to do it again. Gotta take advantage of great summers in Tahoe while you can. This past weekend, we originally wanted to go to Star Lake and then summit Freel, Jobs, and Jobs Sister, but the chance of thunderstorms had other plans for us. We ended up going to Downey Lake and it was awesome. We had the whole lake to ourselves and just spent the weekend exploring, trying to fish (we got skunked), and swimming in the crisp waters. It was a great time, even if it wasn’t what we originally had in mind. We were joking the whole time that it was lazy backpacking, especially compared to last weekend in Desolation Wilderness. The trail is only about a mile long, because you can drive in pretty far on FS Road 14. Don’t get me wrong, the trail is straight up and down, but it definitely isn’t the intensity of last weekend, or whatever later today will bring. 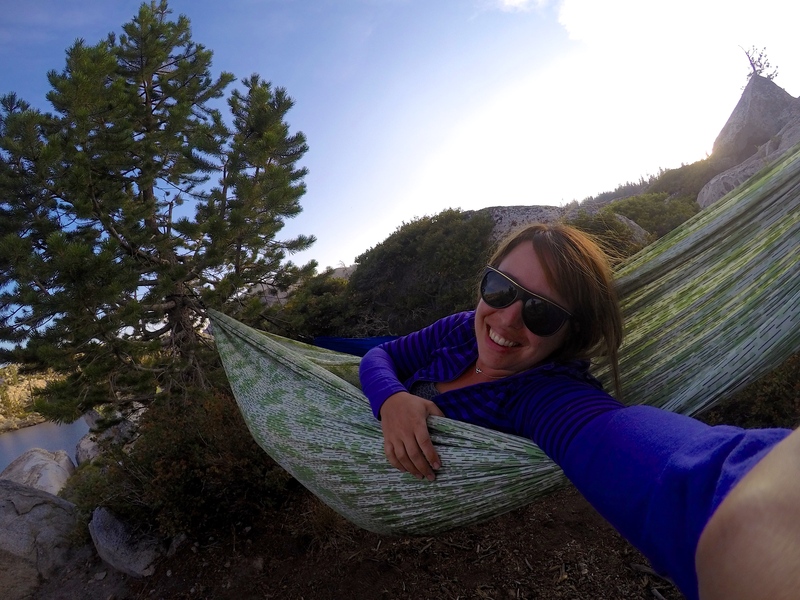 Going to spend as much time in my hammock as I can for the rest of summer. I’ll fill you in more on this coming weekend after I am back next week. I hope you have a great weekend and get the chance to do some exploring. There is so much out there to experience and see, it is never a dull moment. Any plans to do something exciting and new this weekend?